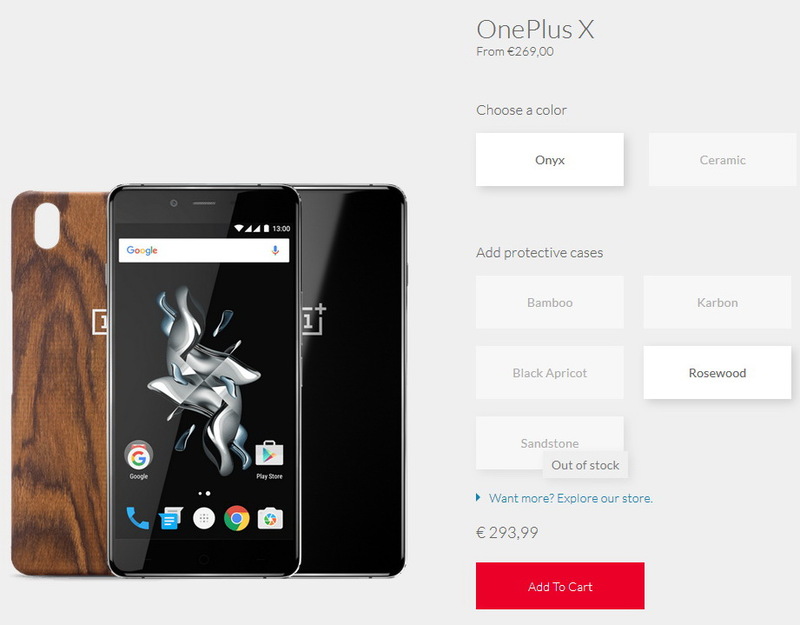 The upcoming OnePlus X is available for 270 Euros with an optional "Rosewood" protective case for an extra 25 Euros. 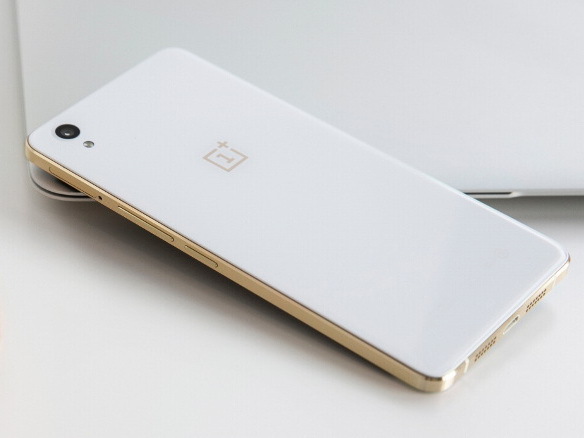 The 5-inch OnePlus X features a Snapdragon 801 SoC, 3 GB of LPDDR3 RAM, 16 GB eMMC, and a FHD AMOLED panel. Customers in Europe can now purchase the 138 g smartphone through OnePlus for 270 Euros, which is 20 Euros more than initially expected. Only the Onyx color is available for now and the usual assortment of protective cases is nowhere to be found. The ceramic case, for example, is currently unavailable for both European and Chinese customers. Instead, only the Rosewood case is in stock for 25 Euros. Of course, this is all unfortunately through the invite-only system. Thus, most users will have to skip the OnePlus X entirely or wait their turn for an invitation. In China, the OnePlus X sells for nearly 1500 Yuan (~217 Euros) and is available in both Black and White. 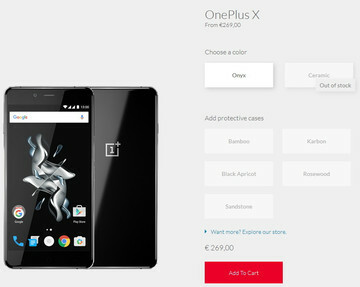 The OnePlus X was recently revealed to be an "experimental" smartphone from a company who had traditionally released flagship-class smartphones only. OnePlus CEO sees the OnePlus X as a step above mainstream, yet below the OnePlus 2.